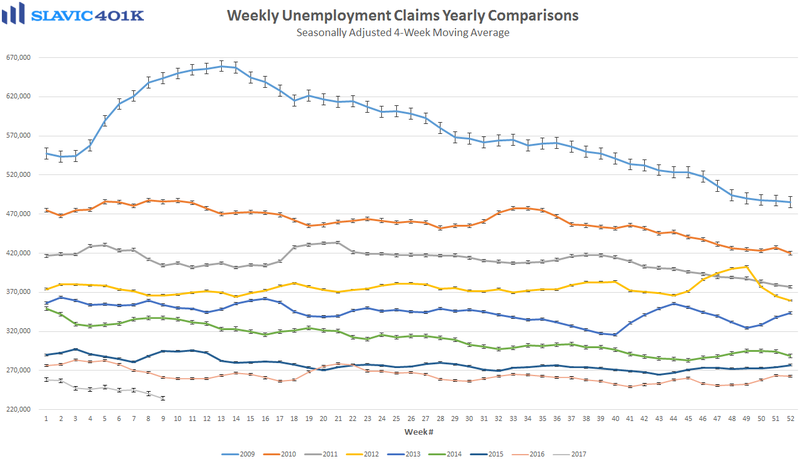 The only important economic data released this morning was a report from the U.S. Department of Labor, which showed that the number of Americans making first-time claims for unemployment benefits fell by 19K to 223K in the week ending February 25th. That was much better than expected and the lowest reading since 1973. 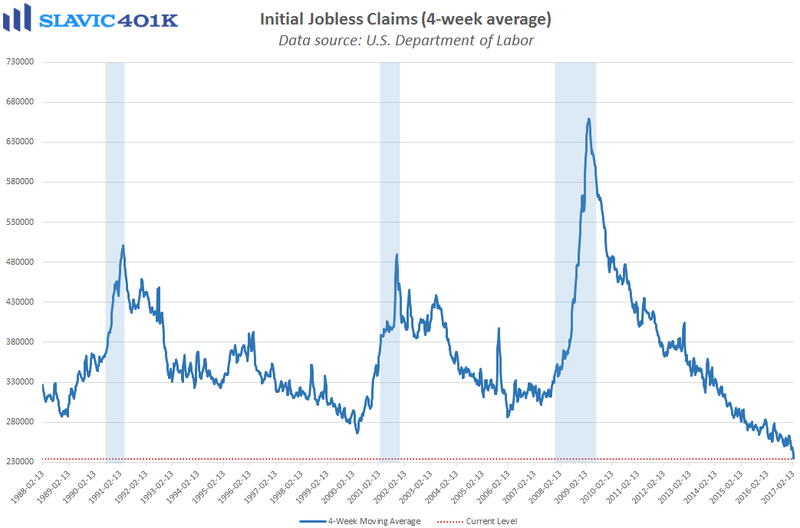 Initial claims can be quite volatile but even the 4-week average now sits at 234.25K, a nearly 44-year low that bodes well for next week’s release of the February job report. 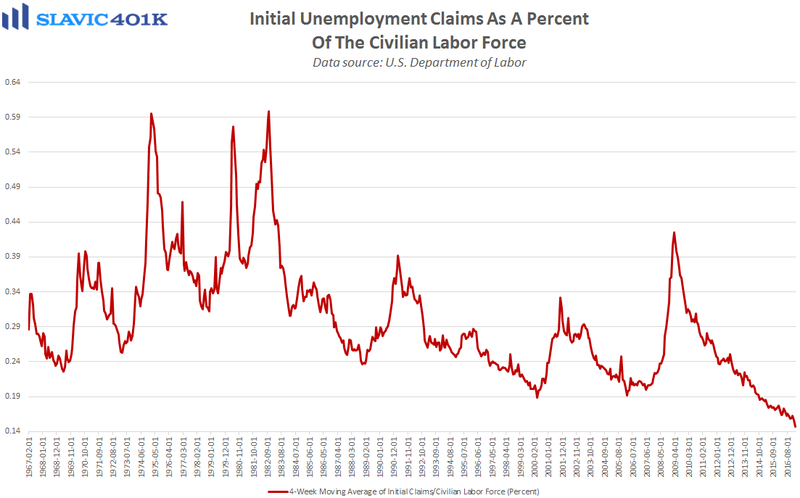 Moreover, first-time unemployment claims as a percent of the civilian labor force slid to the best level on record, and headline claims for unemployment benefits have remained below 300K for 104 consecutive weeks. 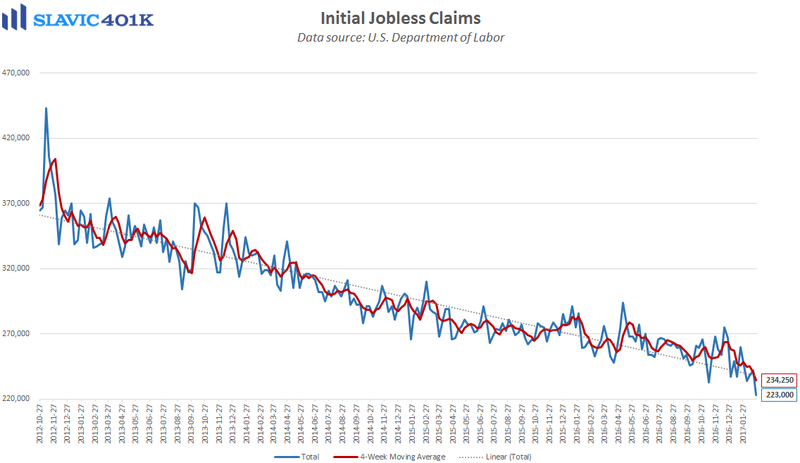 All of this points to a healthy U.S. labor market, which along with the firming inflation data will make it a lot easier for officials at the Federal Reserve to justify another interest rate hike in the near future.